Today, a new market research report was released which said that the iPhone made up a large and growing percentage of handheld gaming devices in the market. The report said dedicated gaming devices in the market such as Nintendo DS and Sony PSP was slowly decreasing while Apple’s iPod touch was outselling those other devices. The report from the research firm Interpret said that mobile phones were responsible for about 44 percent of handheld gaming which is up 53 percent since last year. All this while use of Nintendo DS or Sony PSP fell by 13 percent. 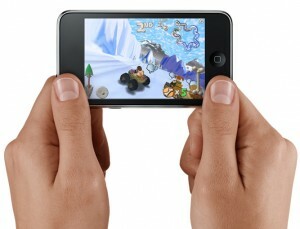 The research also found that nearly a quarter of the people who own iPhones also had a DS or a PSP but never used it. Pricing of the games was also found to be a major factor in this new trend. A typical Tetris game for DS or a PSP would cost $20 while the same app on the iPod Touch would cost $3.99.